Over the past four decades, numerical modeling of the atmosphere has also undergone a steady progression from 2D simulations to high fidelity 3D real time simulations. NWP models use predictive equations to describe the model variables (i.e., they are prognostic). In other words, NWP models are described by appropriate differential equations, which represent the time-variability of the state and dynamical variables. The model variables are quantities that are conserved under spatial motion. Here, a quantity is defined as conservative if it does not change in value with time as it moves through the computational grid. 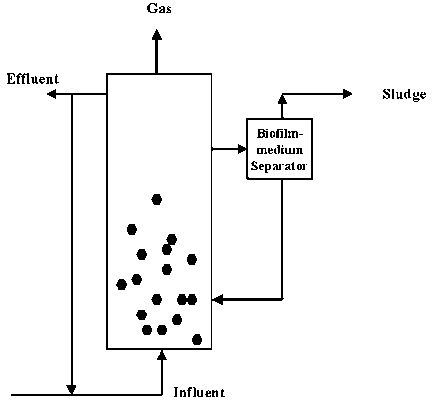 For example, in the atmosphere linear momentum, potential temperature, and mass mixing ratios of airborne material are conserved quantities. Hence the prognostic variables are defined on an appropriate geometric grid and the time-behavior of the variables is represented by a truncated Taylor series as shown later in this section. The partial differential equations (PDE's) are then used to compute the rate of change of a quantity at a grid point. As to the physical processes, the four most important ones that must be included in NWP models are radiation transport, turbulence, cloud microphysics, and con-vective parameterization. Radiation transport is important in determining the solar heating of the Earth's surface and the atmosphere. Atmospheric radiation is modeled at various levels of complexities ranging from simple bulk calculations and two-stream models to more complex models that treat the different parts of the electromagnetic spectrum. Turbulence affects, among many other things, the rate at which surface energy and moisture enter the atmosphere. For example, it is a well-known fact that hurricanes are strengthened by the thermal energy and water vapor from the surface of warm oceans and they rapidly decay if either of these sources is cut off. The parameterization of turbulence in NWP models is usually divided into two parts: horizontal and vertical. In general, the horizontal diffusion is defined as a function of the deformation of momentum, while the vertical diffusion is implemented using a multi-level planetary boundary layer model. 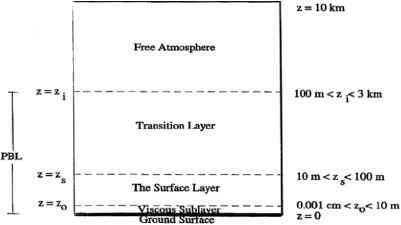 The planetary boundary layer (PBL) is also generally treated separately as the viscous sub-layer, the surface layer, and the transition layer in which the surface layer provides the necessary link for the surface latent and sensible heat fluxes that are very important in TC development (cf. Fig. 2). researchers in the field of NWP. It is also here where the effects of dust aerosols are still largely an unknown and become important. 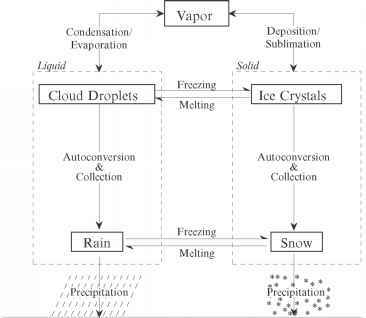 In addition, atmospheric modeling is fundamentally an initial and boundary value problem. The fundamental equations are integrated with the constraint that the variables have known values at the initial time and also along the boundaries of the computational domain at all times. For the initial conditions, we depend on measurements of the key state variables. Ideally, the initial conditions should define the state of the atmosphere accurately at all points within the computational domain. This is impractical if not impossible to achieve and we have to be satisfied with a diverse set of measurements at a finitely few points in space and time. In summary, although the poor performance of many NWP models in TC track and intensity forecasting may be explained by their neglect or poor treatment of the above mentioned physical processes, inadequate representation of the initial and evolving three-dimensional structure and dynamics of hurricanes and the surrounding large-scale environment are often the cause of these substandard predictions (Burpee et al., 1996). Consequently, TC track and intensity forecasts of NWP models can be improved by improving their initial condition and grid resolution. Therefore, the rest of discussion in this section will concentrate on relatively new concepts in improving both model initial fields and grid resolution. Namely, adaptive data assimilation (i.e., targeted observations) and solution adaptive numerical modeling technique will be discussed rather than all other aspects of NWP that have been extensively studied in the past.